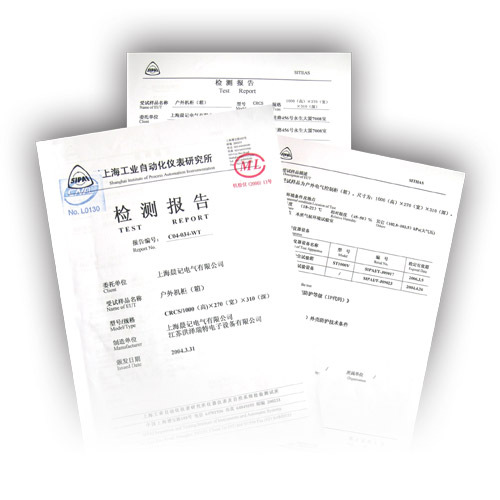 "SHANGHAI CHENJI ELECTRICAL CO.,LTD. "is a provider of electrical and electronic equipments. We have the rights of import and export . Main products including : Computer Room Equipments which include Modular IT Work Table, Modular IT Monitoring Console,Modular Display Screen Wall,Network Enclosure,Server Enclosure, Distributor ; Outdoor Enclosures which include Outdoor Air Conditioner Enclosures,Outdoor Enclosures, Providing bridge box girder enclosure components assembly project ; Enclosures which include 9 fold profiled controlling enclosures, PC Enclosure (Computer Enclosure ), One-piece Console System ; American Mclean Thermostat Management Products which include Industrial Air Conditioners,Heat Exchangers, Fans,Filter Fan Packages ; Finland Fibox Enclosures,Explosion-proof Enclosures ; Stainless Steel Enclosures and Sheet Metal (Stamping )Processing . Protection rating of enclosures respectively reaches 54,55,65,66,67protection rating certificates and explosion-proof rating certificates.